Have you ever heard of the Woke Olympics? It’s a competition where players, most of whom are white, “stay woke” by calling out instances of racism, especially those committed by fellow white people. So simply by naming racism publicly, you’re now woke. Anyone else see flaws in that logic? In real life, those of us dedicated to equity work know that recognition of the racial injustice in our world doesn’t automatically lead to its elimination. Neither does education alone: We can read countless books and article, watch documentary after documentary, and share blogs and posts on social media. To be woke, we must be aware and active, with the clear understanding there are no gold medals as a reward — and there shouldn’t be any. Yet our personal equity journey doesn’t amount to enough if our organizations, systems and structures don’t model the equity principles we hold as individuals. 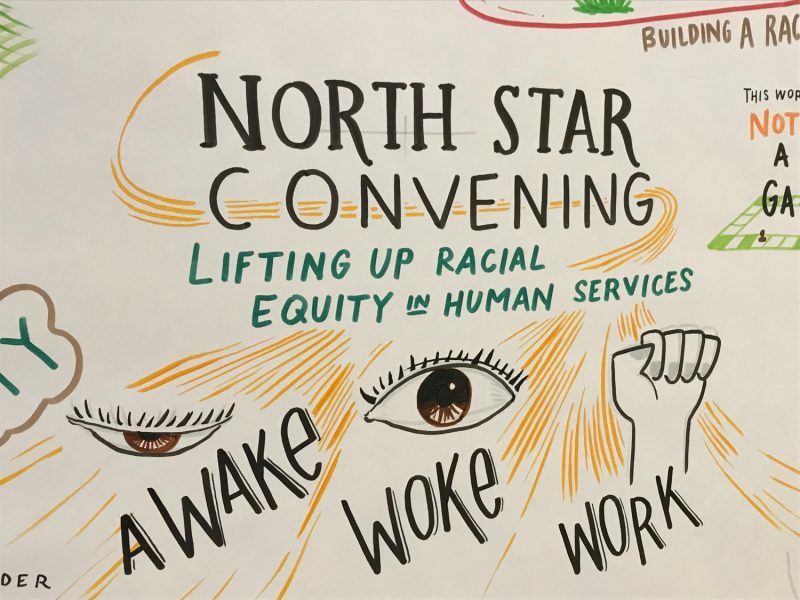 Earlier this week, I spent the day with 15-plus organizations at the Kresge Foundation’s North Star Convening: Lifting Up Racial Equity in Human Services meeting. Our charge was mighty: Identify strategies and practices to advance racial equity in our organizations internally, not just in the programmatic support we provide. Embrace risk taking. 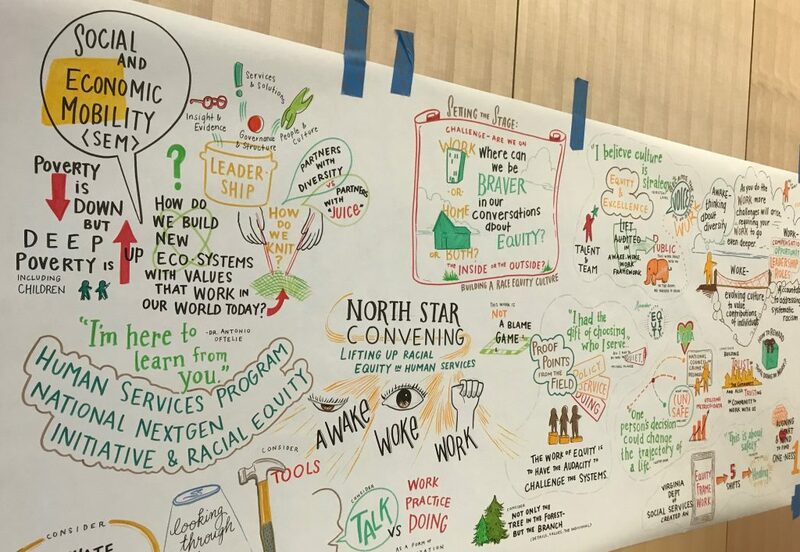 Many of us, especially my fellow white folks in this sector, talk a big racial equity game. But when it comes to actually taking action, we shy away from policies or practices that might make people uncomfortable. We must take risks on behalf of the people we care about — those people in our communities we work to serve AND the very people we work with each and every day. Get comfortable being uncomfortable. If it was easy, everyone would do it. Distilling racial equity in your organization is damn hard work — and invaluable. In a country where deep poverty rates have increased for people of color by 15 percent over the last few decades, there’s no excuse to not start moving people into productive disequilibrium. Identify allies. Racial equity is not a solo mission. As you work to create more equitable internal processes and structures, find your coalition of the willing. Some of those people will look like you and some of them won’t. Identify your champions from across the organization and move with them into action. At StriveTogether, we recognize that we, too, have so much more to do to create a more racially equitable organization. We’ve looked at our data, listened to our team and have started to mobilize on an action plan. Over the past year, we have engaged with the Interaction Institute for Social Change to help us uncover the biases and systems in our organization that perpetuate a white dominant culture. Our team members have started to discuss anti-racism and healing through affinity groups, creating safe spaces to share and learn together. Every other month, you’ll find the StriveTogether team participating in equity lunch and learns, where we discuss racial equity and racism through history, pop culture and academia. We are awake and continue to build a race equity culture that’s truly inclusive. But this is just a start. We’ve still got miles to go before we achieve racial equity — before race no longer predicts social outcomes like how much education you get, what kind of job you hold and how much money you make. What else do our organizations need to do to truly operationalize equity? Create porous boundaries with constituents. Organizations in the social sector are frequently plagued by the “thanks for your feedback” mentality. Although keen to elicit feedback from those we want to serve, more often than not, we take it from there. Only when community and constituents come together to co-develop solutions — and own those solutions from ideation to execution — are we shifting systems. Equity is doing the work, not just talking about it. I know a cadre of brilliant and smart people who can discuss the hell out of an equity frame and create masterful slides using all the popular theories. But this work is about so much more than talking — remember, there’s no medal for that. Racial equity is only possible when we act. Frames and theories, while helpful in unpacking a problem, can also be work avoidance. We need to step up and act, while recognizing that sometimes we need to get out of the way and rally around others that can lead, inspire and get stuff done. Don’t let perfect be the enemy of good. A sure sign of white dominant culture is perfectionism. Like the perfectionism I sought as I wrote, rewrote and twisted myself inside out coming up with the beginning of this blog. In this work, we can’t wait for the perfect solution or the perfect frame. You have to be willing to learn in public. 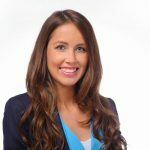 A friend, mentor and coach to StriveTogether — Marian Urquilla — reminds us often that you can start somewhere as long as you’re willing to go anywhere. What can we do now that will enable us to do so much more later? At the Kresge event, it was powerful to be “in community” (thank you, Christian Paige, for introducing me to that empowering term) with organizations that are grappling with strategies to embrace and further racial equity. We don’t need to win gold medals when we come together, share learnings and commit to doing better. We win something far greater — the humanity that racism takes away.